is a professionally managed web design and web development company in Hyderabad, India. A very long time ago--back before there were high-resolution color monitors and digital cameras--computer geeks amused themselves by arranging text on the computer screen into rudimentary, two-color pictures known as ASCII art. Until recently, I had assumed that ASCII art was extinct, but I was wrong--just like the slew of Web sites you can use to create silly and unusual special effects with your photos, there are sites you can use to easily transform your favorite photos into ASCII images. It's fun--let's give it a shot. 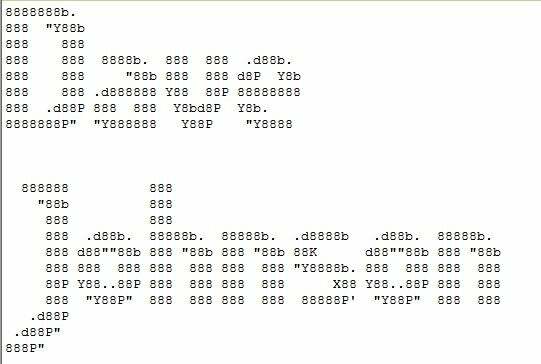 If you didn't use a computer back in the Stone Age of Computing, it's entirely possible you've never even seen an example of ASCII art. When I was an engineering student in college, I saw it all the time. People would make large, elaborate pictures and add them to the signature block of their e-mail messages, for example. 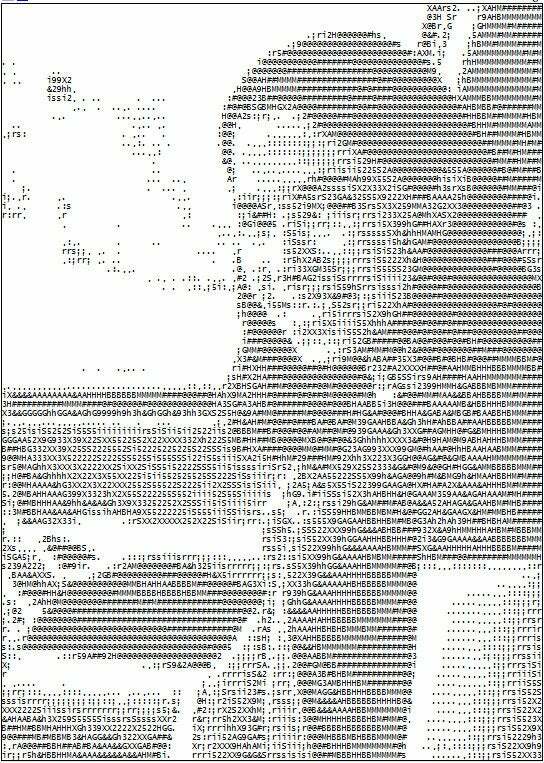 Even people with no artistic skills would, at a minimum, render their name as an ASCII drawing. It turns out that there are still Web sites that automatically transform text to ASCII art. Visit ASCII Generator, for example, where you can input some text and see it appear in all of its ASCII glory, like it's 1986 all over again. Here's my name using one of the dozens of different text styles available on the site. Now that you've seen your name as an elaborate arrangement of characters, let's try a photo. I like the images created atPhoto2Text, so let's start there. Upload a JPEG photo from your computer and click Submit. In just a moment, you'll see an ASCII representation, like this one. A couple of caveats: Images must be under a megabyte, so you might need to resize a photo before uploading it; also, the "reduce our pictures and send it by email" link does not appear to work. That's okay, though; there are two different ways to save a copy of the text photo you've just made. If you want a JPEG copy of the ASCII image, you can take a screen shot. If you have Windows Vista or Windows 7, for example, use the Snipping Tool to grab a copy of the image. Alternately, you can enter a nickname at the top of the Web page, after which you'll be able to download a copy of the ASCII image as a text file that you can open in Notepad, Word, or any other word processor. And that's really cool, in an admittedly geeky way. I still get a goofy grin when I look at one of my digital photos in text form in Notepad. If that's not enough to keep you amused on a Saturday morning, check out Text-Image.com. This Web site is similar to Photo2Text, except that it allows you to save your ASCII art as HTML, which opens up even more artistic possibilities. To get started, click the HTML button at the top of the page, and specify an image file on your computer. Unlike Photo2Text, there isn't a 1MB limit on file sizes, so you can experiment with much larger photos. As you can see, this site converts your photo to ASCII text, but retains the color--giving your image a very low-resolution, low-color retro look, as if it were being displayed on a VGA monitor in 1991. You have a lot of options for tweaking your ASCII art in HTML mode, including font size and a choice of color or black and white. When you tire of that mode, click the ASCII and Matrix buttons for more variety. In particular, check out Matrix, which, as you might expect, renders your text image using an effect that resembles the visuals from the movie The Matrix. If you want to explore more ASCII art sites, there are plenty to choose from. My search for "ascii art generator" turned up page after page of sites to try. Happy hunting. What Photo Editor Do You Use? What is your favorite photo editing program? Are you happy with the way I use Adobe Photoshop Elements to demonstrate editing techniques, or would you rather see me mix things up with another program? Vote in the Digital Focus poll by Thursday, April 1, 2010 to help me choose how I should cover photo editing in the future. Get published, get famous! Each week, we select our favorite reader-submitted photo based on creativity, originality, and technique. Here's how to enter: Send us your photograph in JPEG format, at a resolution no higher than 640 by 480 pixels. Entries at higher resolutions will be immediately disqualified. If necessary, use an image editing program to reduce the file size of your image before e-mailing it to us. Include the title of your photo along with a short description and how you photographed it. Don't forget to send your name, e-mail address, and postal address. Before entering, please read the full description of thecontest rules and regulations.